Friday Fives: Valentines Day Inspiration and a Giveaway! With Valentines Day on the approach, I thought I would take the chance to share with you my Five ideas for things to make this Valentines Day special! Myself & Bean Daddy are planning a rather frugal Valentines this year as we are trying to save up all of our pennies for Bean and moving house, so this list is not going to be full of pricey items but rather more fun little things that can make for a fun Valentines without breaking the bank. Equally, if you're single there's no reason why you can't still enjoy Valentines Day! After all, YOU are the person that you should love and look after the most so why not use it as a day to pamper and treat yourself a bit?! 1. Pretty Bath Time Beauty Treats! To me, nothing says Valentines Day quite like a pretty package of deliciously scented bath time and beauty treats! The above pictured Vintage Fawn Gift Box by Rose & Co is just the kind of gift I would LOVE to unwrap on Valentines Day! 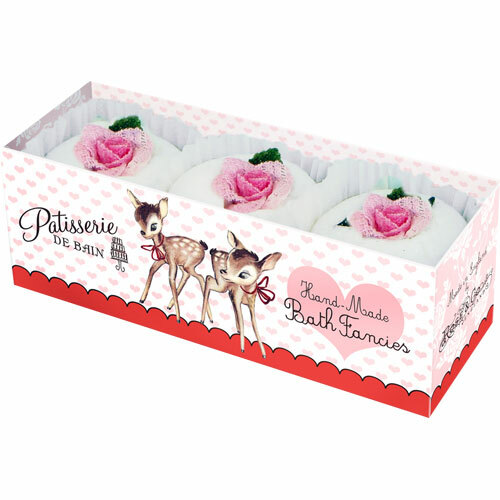 The pretty vintage packaging has such a romantic and whimsical feel, and the gorgeous bath fancies with their little pink flowers and cupcake-like design are just so romantic. I can almost smell them just from looking at the picture! The Vintage Fawn Gift Box costs just £10.00 and is available from the Beauty Naturals website - www.beautynaturals.com - if you haven't yet I would highly recommend a look around their site as it is just brimming with amazing and unusual natural beauty products, their prices are very reasonable and the delivery time is very impressive! What could be more romantic than waking up your loved one this Valentines Day with a nice up of tea in bed?! But forget the usual standard cup - you can make it really special by trying out the new range of Guilt Free Sweet Treats Tea from luxury Tea manufacturer's TeaPigs. The range consists of 3 decadent and delicious flavours: Chocolate Flake Tea, Rooibos Creme Caramel and Liquorice & Mint. I was sent samples of the Chocolate Flake and Creme Caramel to try out - I am the first to admit, I not usually a fan of flavoured or herbal teas at all - the first thing that surprised me was that TeaPigs recommend that you take these teas with milk (all the flavoured teas I have tried in the past are usually taken without!) - both of the teas were surprisingly good, and they really did feel much more indulgent than your standard cuppa! I have to say, the Chocolate Flake tea was by far my favourite - the smell that came off it while I was sipping was amazing and it really did taste like very delicate chocolate. Bean Daddy preferred the Creme Caramel, he loved the little caramel pieces in it! These teas are a lovely treat and if you're on a diet they are a great way to indulge yourself without a massive calorie splurge! Teapigs have a massive variety of flavours available, and are available to purchase from www.teapigs.co.uk as well from Waitrose, Selfridges and John Lewis Food Hall. 3. Lotions & Love Potions! If you fancy trying something a bit more grown up, Oriflame have introduced these fabulous and aptly named "Love Potion" products which would be sure to spice up your evening! Love Potion Sensual Massage Oil (£8.95, 150ml) is an enticing blend of ginger, cocoa flower and chocolate designed to awaken and ignite your senses - the smell alone is pure bliss, and if you find a willing massage partner you'll be guaranteed a perfect evening! And if you need a little help enticing them, the matching Love Potion Eau De Parfum (£20.95) is the way to go! The seductive oriental scent is a alluring and intoxicating blend of Vanilla, Ginger and Chocolate and is sure to set anybodys pulse racing! The packaging is also really impressive - I'm sure I can't be the only girl who tends to buy perfume based on the pretty bottles as much as the scent....and this one looks really striking sitting among my collection! 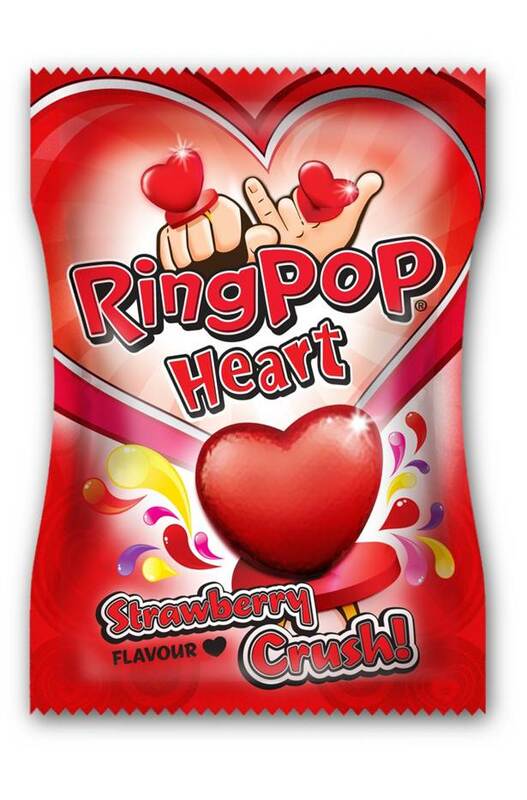 Sweets are a timeless classic gift for Valentines Day but why not step away from the usual cliche boxes of chocolate hearts and go for something more retro & kitsch?! At just 39 pence each from all good retailers, I think they are an ideal little token of affection! One major downer about being pregnant on Valentines Day is that it means missing out on my favourite Valentines Day treat - a nice meal and a glass (or 3!) of Rose wine! 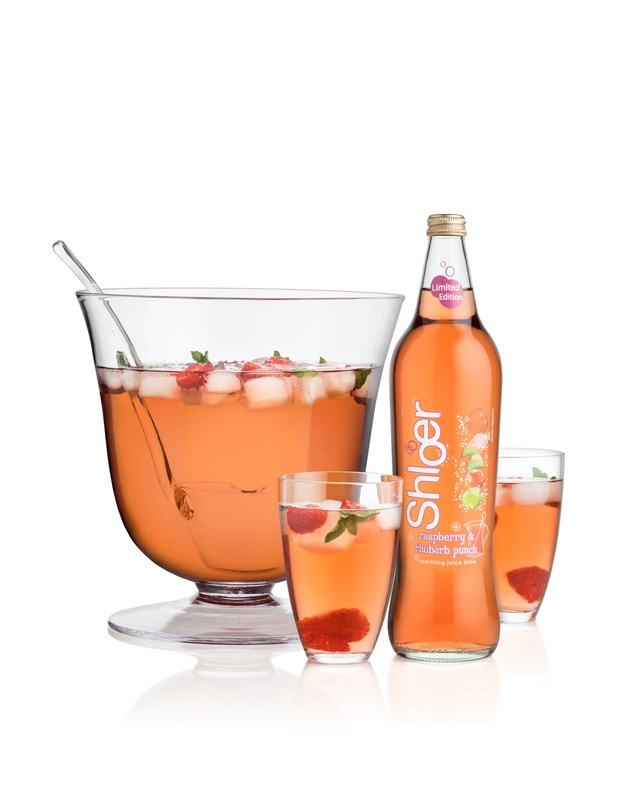 So I was very pleased to hear that Schloer have come out with a Limited Edition Raspberry & Rhubarb Punch - ok, I know its not wine but still! - a nice girly, pink, sparkling drink is really all I need to make me feel in the Valentines Mood and this fits the bill perfectly! You can really make it feel special by serving in a punch bowl with lots of ice and a handful of fresh raspberries - a really lovely but sensible Valentines treat! Plus at just £2.29 per bottle its a fraction of the cost of a bottle of plonk! If these gifts fail to inspire and you find yourself on the receiving end of some undesirable gifts this year, check out the Valencrimes website launched by chocolatier Elizabeth Shaw - if you feel you have received a gift worthy of being dubbed a Valencrime then just log on, upload a picture and a brief description and if they agree that your gift is dreadful they will send you a box of Elizabeth Shaw Chocolates! The website is live from 8th-28th February, and although I hope not to be using it myself - I will certainly be logging on to see what gifts people have uploaded to the site! To share the love this Valentines Day, I will be giving away a package featuring some little Valentines Day treats - the mystery prize will include some samples of products mentioned in this post as well as one or two other little treats! To Enter our Valentines Giveaway, please complete the Rafflcopter form below. Entries will close on 14th February and the winner will be announced on this day. I was sent samples of Oriflame Love Potion Massage Oil and Love Potion Eau De Parfum, Schloer Raspberry and Rhubarb Punch, Ring Pop Hearts and Teapigs teas for the purpose of this review. All words and opinions are my own. The Tea-Pigs Tea sounds amazing! Those bath treat look cute! 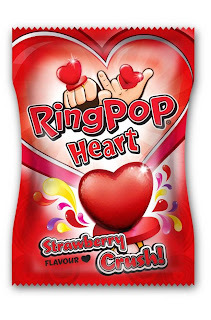 Thanks for the giveaway :) I used to love ring pops when I was younger, no idea they are still sold! I love shloer but haven't seen that flavour yet, will have a look next time i'm shopping as it sounds delicious. I love the products....The bath treats look great!! The tea sounds fantastic. Wow! I'd love to try it. They all look like fab products, i have been dying to try the tea pigs tea bags snc everyone else seems to have except me :( But I think the bath fancies are the ones I would love the most, even though I don't have a bath lol I take bath products round to my mum's when i visit and always have a good soak there.